British pop and rock stars including Radiohead, Robbie Williams, David Gilmour and Kate Nash have signed up to a new body to fight for musicians to have more control over their work. It is almost exactly a year ago that Radiohead made their latest album available on their own website. It was a simple act - but it was like an incendiary bomb in the music industry. 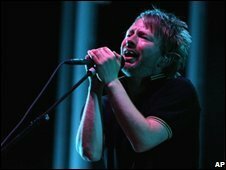 Radiohead were one of Britain's biggest bands, but their major label deal had expired and they proved that big names no longer needed the big labels. "I think it was one piece of the hammer that started to crack the mould of the old business model," says Brian Message, one of the band's co-managers. "It certainly gave everybody the thought that, you know what, you can do things in a different way. For us, the key thing was about an artist taking control and doing what they wanted to do. "It wasn't an attempt at a business model of the future - it was the right thing for Radiohead at that time in their career. From those roots, everything grew." It may not have been a deliberate manifesto for other artists to follow, but their success has shown their contemporaries that they can do things differently. Few bands have the clout of Radiohead, but the balance of power has shifted. Many will always need labels to build their careers and market their music. But artists do not need labels as much as they used to. It is against this backdrop that the Featured Artists' Coalition has been launched, with the aim of wrestling more control for the musicians. That includes keeping ownership of their recordings - currently, the rights are usually kept by the labels. 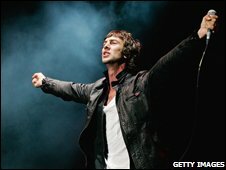 "I've managed a lot of big artists," says Jazz Summers, who looks after The Verve, among others. "They always say this - why have I paid for my record and I don't own it? It's a bit like you buying a house but at the end of it, when you've paid for it, the bank manager says 'I own it'." Instead, the body is proposing that artists should own the rights but lease them back to labels, technology companies, or anyone else for that matter, for up to 35 years, as happens in the US. Then there are the deals done by record labels and music publishers to sell music on a range of new digital services. "When artists see their music put into all forms in the new digital arena, they're never consulted about it," Mr Summers says. Those deals, according to the managers, include download stores like iTunes, Napster and the new MySpace Music, and mobile phone services run by the likes of Nokia and Sony Ericsson. "I think the people making the millions at the moment are the technology companies and the internet service providers [ISPs]," Mr Summers says, naming Apple, MySpace and YouTube. "The artists deserve a fair share, and they're not getting that." But he says the new campaign is not about the money, but rather about the artists having control of their art. Robbie Williams is one who has already taken control. In January, his manager Tim Clark told his label EMI that he would not deliver a new album until he was happy with how EMI would handle it after the label was taken over. The artists may have more bargaining power, but why should we feel sorry for pop stars who complain about their deals? Does Williams, who famously proclaimed that he was rich beyond his "wildest dreams" when he signed to EMI for £80m in 2002, really need any help? "Robbie Williams' deal was done when CD sales really meant something," Mr Clark says. "Those sorts of deals are just not possible any longer." The coalition is "not about Robbie Williams", he says, instead pointing to former Zero 7 singer Sia, whom his company has managed for the last eight years. "She was dropped by Universal Island after just seven months," he says. "We have worked incredibly hard, as has she, for very little return. "It is artists like this, and young artists - artists that do really need protecting, artists that aren't in Robbie Williams' position, that actually need protecting." 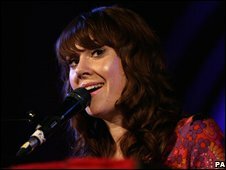 Kate Nash is one of the artists on board and is among those fronting the coalition. "I've had friends who've had dodgy deals and have been completely screwed," she says. "In this industry, there is so much sharky water that you've got to be aware of what you're getting yourself into. "Don't be blinded by all the shiny lights and pay-cheques - it's not like that. "You've got to care about what you're doing and you've got to look after yourself because no-one else is necessarily going to do that." Have Radiohead marked music's future?